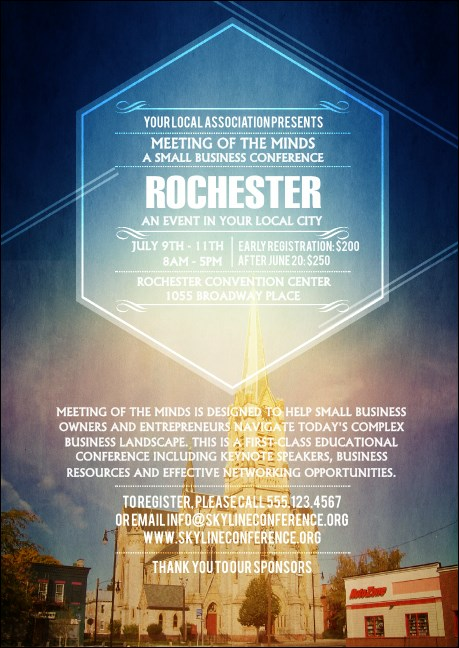 Capture the attention of Monroe County when you personalize your pre-event promotions and print Rochester 2 Postcards in advance. Make the home of the Lilac Festival the home of your event with Postcards that feature a great picture of Saint Michael’s Church at the bottom with an open, blue sky on top. Get promotions as professional the Eastman Theatre at TicketPrinting.com!